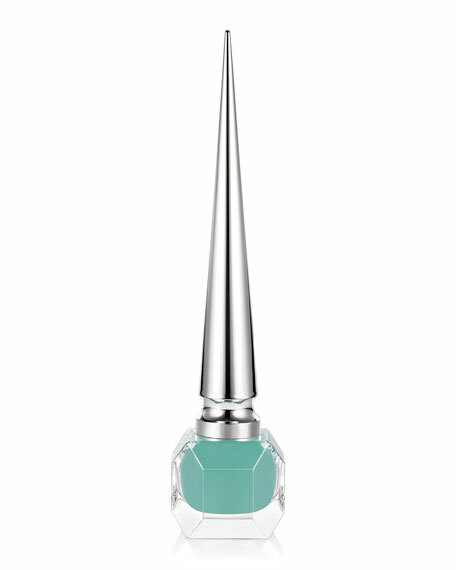 Loubitag Nail Collection is inspired by the intimate moments Christian Louboutin shares with his fans from around the world, which he preserves in drawing. She sealed a kiss with her Rouge Louboutin lip, she wore Pigalle pumps to celebrate her milestone birthday, she chose Baraboum Nail Colour for 'something blue' on her wedding daywomen around the world fête life's special occasions with Christian Louboutin. Enthused by the heartfelt stories that his fans share with him, Christian loves to sign as well as draw original sketches, lucky charms, and even secret notes onto their beloved shoes and accessories. Inspired by his on-the-spot drawings, Loubitag showcases one-of-a-kind artwork hand-drawn by Christian. 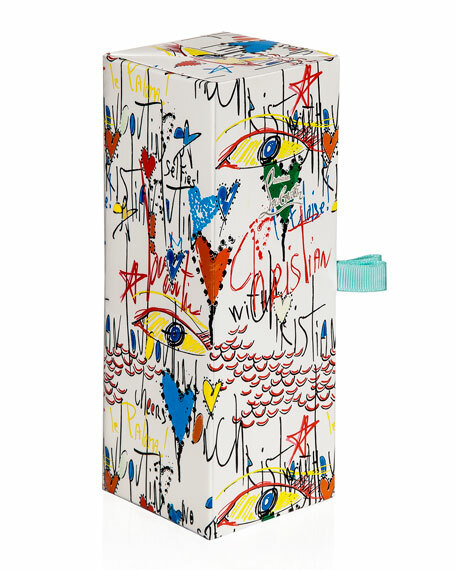 It features his iconic signature, doodles of expressive eyes, multicolored hearts and stars, and playful words. .and please, No Selfies!" references the designer's passion for authentic human connection, joyfulness, and fantastical flights of imagination. Like a guestbook opening for the first time to the public, Loubitag celebrates more than 25 years of unrestrained designs. 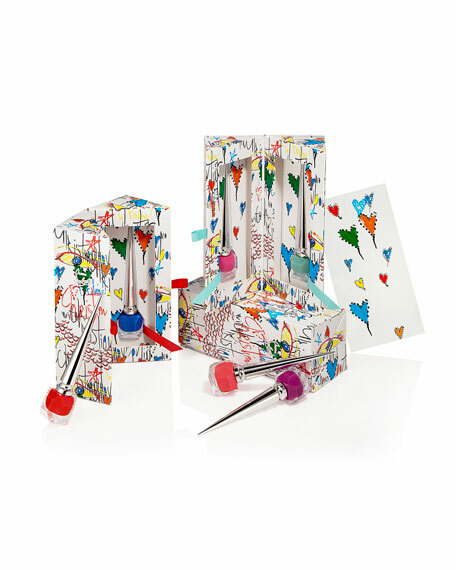 A beautifully constructed origami construction box opens to reveal two miniature bottles of Pop shades from his Nail Colour collection. Christian Louboutin Nail Colour delivers luxurious, ultra-pigmented and long-lasting colour to nails. 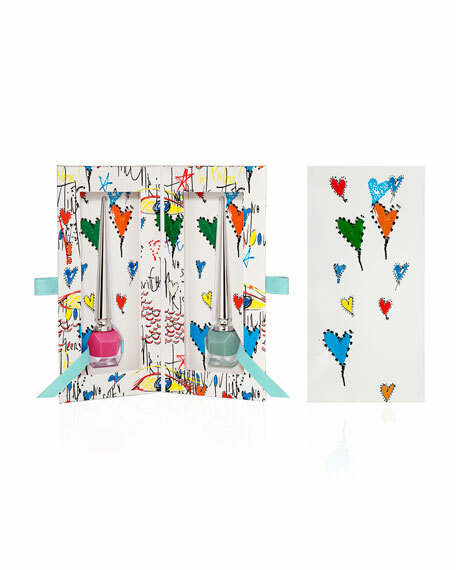 The Loubitag print is offered in all of Christian Louboutin's universes, available in shoes and accessories in his Spring/Summer 2018 fashion collection, which debuted in November 2017. For in-store inquiries, use sku #2496533.